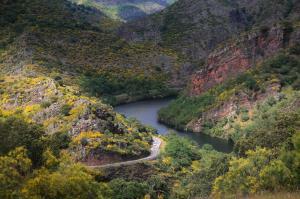 Las Conchas de Haro Ravine receives the River Ebro by opening a door for it in the middle of the Obarenes Mountains. On the right-hand bank is the whole of La Rioja, except the La Sonsierra region which, as its name (under the sierra) suggests, is nestled on the left bank of the river in the shadow of Sierra de Toloño. You have just entered wine country. The almost 1,000 metres of the Cellorigo, Galbárruli and San Felices escarpments in the Obarenes mountains acts as a barrier to the humidity from the north and the limestone soil with its abundant sandstone provides a good anchor for the vines. But above all, it is the hard work of the Riojan people which makes the miracle happen. This land of vineyards, which is generous in its fruits and changes with the seasons, is just waiting for you to explore it, to come and have a drink, a meal and stay the night. It will make you feel at home. On foot, on bike, on horseback… explore the footpaths and discover the old vine sheds, stone huts which are still used for storing farming implements, and cave presses, holes carved in the rock in which wine has been pressed for centuries. Above your head, a large group of golden eagles, peregrine falcons, Egyptian vultures and griffon vultures use the crags to land between holm oaks, tree strawberries, box trees and other aromatic plants. If you climb the Toloño or Bilibio peaks, look for humid zones where the gall oaks provide shady spots ideal for taking a break and enjoying a sip of wine. Oh, and remember, every year on 29 June the Wine Battle is held on the Bilibio Crags. 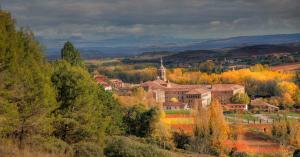 The Ebro winds its way through the northern end of La Rioja. 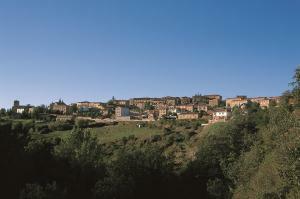 Evidence of its presence includes the wide meanders lying between the towns of Briñas and Haro or between Briones and San Vicente de la Sonsierra. A serpent of water that brings sustenance to the forests on its banks and which can been seen, to name but one place, from the vantage point of a hot-air balloon in Haro. If you follow the Ebro you will arrive at Sierra de Cantabria where rocky escarpments mix with huge vertical walls standing well over 1,000 metres. Over this Sierra, the Santiago Pilgrim Trail arrives in Logroño and offers wonderful views of vineyards and poplar groves which, in places, hide the course of the river. Salimos de Nájera desde el Monasterio de Santa María La Real, por el Camino de Santiago, una vez pasado el primer repecho y ya de bajada tomaremos la primera a la izquierda abandonando el camino de los peregrinos, tomando esta ruta hacia el oeste llegaremos a la carretera LR- 312 giramos a la izquierda dirección Cordovín, el cual lo atravesamos dirección Badarán. Ya en esta localidad bajaremos a la vega del Río Cárdenas por un camino que sale una vez cruzado el puente del pueblo y no abandonaremos este camino ribereño hasta llegar a San Millán de la Cogolla. Una vez aquí y tras visitar sus emblemáticos Monasterios de Suso y Yuso podemos dirigirnos hacia Berceo por carretera e igualmente siguiendo la LR 206 hasta Cañas, donde nos aguarda la Abadía Cisterciense. En Cañas tomaremos desvío por caminos hacia las cercanas poblaciones de Canillas de río Tuerto y Torrecilla sobre Alesanco, desde allí y por asfalto llegaremos a Alesanco y tras breves kilómetros en la LR 206 llegaremos a Azofra desde donde retornaremos a Nájera cual peregrinos de viaje de vuelta por el trazado del Camino de Santiago. Con El Balcón de Mateo, las mamás y papás lo tendrán mucho más fácil a la hora de escoger los mejores planes para realizar en familia en La Rioja. Es una web informativa en la que encontrarás las actividades de ocio infantil y familiar que se celebran en Logroño y en La Rioja. Ofrecemos una información completa y actualizada sobre las mejores propuestas de ocio familiar. Agenda de ocio infantil de La Rioja. 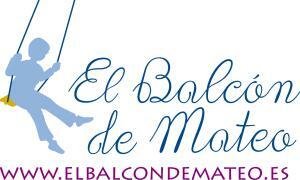 El Balcón de Mateo presenta las actividades para niños entre 0 12 años programadas en La Rioja y la información que más interesa a los padres riojanos como educación, cultura y turismo familiar. 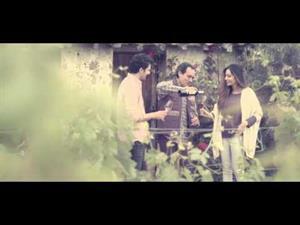 La Sierra de la Demanda, the roof of La Rioja, has two curious characteristics. Firstly, it contains the highest peak in the region, the majestic San Lorenzo which stands 2,260 metres above sea level and contains the modern Valdezcaray ski resort. 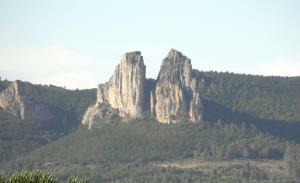 And secondly, Gatón Peak contains the source of the River Oja, after which the region is named. Nearby, La Sierra de Urbión marks the border between Burgos and Soria in a mosaic of wild pines, waterfalls and glacial circs. Also called Picos de Urbión, the peaks contain a series of impressive, deep blue lakes, such as La Laguna de Urbión. Located on the southwest border of La Rioja, La Demanda is covered in beech and oak groves that overlook the lively town of Ezcaray and its charming villages. Don’t miss the holly wood in Valgañón. The Alto Oja forms beautiful waterfalls in the so-called Llano de la Casa. On its southern side, surrounded by wild pines, the River Najerilla winds its way along, flanked by pedunculate oaks, ashes, maples and hazels. 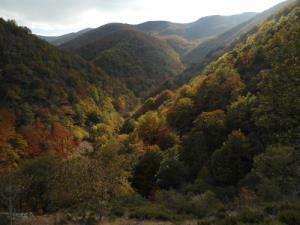 A good example of a mixed forest containing all the species present in La Rioja is located in Roñas Valley, between the towns of Anguiano and Brieva de Cameros. All the trees in the region in a single forest! Eagles fly over La Demanda and Los Picos de Urbión watching over the wild pines, beech groves and conifer forests. Get ready to see eaglets, falcons, horned owls and elusive grey partridges. You can also fly in a paraglider or hang glider from the top of San Lorenzo. There are also many ideal places for climbing near Anguiano - conglomerates such as Peña Reloj and Peña de San Torcuato in Ezcaray, where a number of protected bird species are reared. 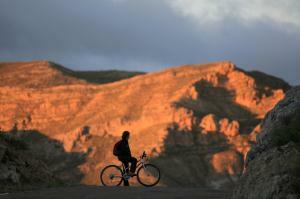 Come and see the birds in Peña de Tobía and Peña Matute by walking the GR.93. The path, which leaves from Ezcaray, passes through San Millán de la Cogolla, where you simply must stop to visit the Yuso and Suso monasteries, the birthplace of Castilian Spanish. ¿Tienes invitados a comer? Sorpréndeles con este suculento y sabroso plato. The Spanish Language Route: trace the Spanish language from its origins. The Camino de la Lengua (Spanish Language Route) starts from the San Millán de la Cogolla Monasteries in La Rioja and passes through five locations that have had a special and unique relationship with the history of the Spanish language in Spain: the Santo Domingo de Silos Monastery in Burgos and the cities of Valladolid, Salamanca, Ávila and Alcalá de Henares. The Yuso and Suso Monasteries in San Millán de la Cogolla: birthplace of the written word. 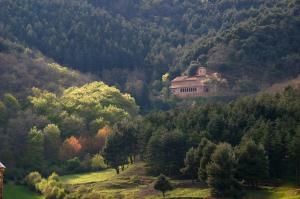 The Yuso and Suso Monasteries are in the village of San Millán de la Cogolla and are European Heritage Sites. They are in the Cárdenas Valley, a tributary of the River Najerilla, in the foothills of the Demanda Mountains and under La Rioja's highest peak, San Lorenzo (2,262 metres). Suso, the upper of the two monasteries began in the caves inhabited by the hermits and disciples of San Millán in around the 6th century. The building work that turned these caves into the monastery is reflected in the different architectural styles layered on top of each other from the 6th to the 10th centuries: Visigoth, Mozarabic and Romanesque. Suso's cultural importance comes from the collection of manuscripts and texts written at the Monastery's library, one of the most important during Spain's Middle Ages: the Codex Emilianense de los Concilios (992), the Quiso Bible (664) and a copy of the Apocalypse by Beato de Liébana (8th century) make this one of the most important, if not the most important, libraries during Spain's Middle Ages. This setting provided the backdrop for what is today the oldest written evidence of the Spanish language. The Yuso Monastery was built to expand the Suso Monastery in the 11th century and is particularly large. It was built during the 16th, 17th and 18th centuries and combines different architectural styles: mainly Renaissance and Baroque. The Monastery's museum houses many wonderful works of art: paintings by Juan de Rizzi (thought to be the best Spanish religious painter) and copper pieces dating back to the 17th century. The 11th century gold and ivory chests hold the relics of San Millán. The screen closing off the church's lower choir was made in 1676 and the retrochoir's sculpture contains eight beautiful Spanish images One of the Monastery's best pieces is also in this area: a pulpit made of walnut, which is thought to date back to the late 16th century. The Monastery's library and archive are of particular interest and are considered to be one of Spain's best. The Medieval archive's main items are two cartularies (the Galicano and the Bulario cartularies) containing around three hundred original documents. The library remains as it was furnished towards the end of the 18th century. The true value and interest of the library is not so much the number of documents it houses (over ten thousand), rather the unusual nature of the items. One of these unusual pieces is the "Gospel of Jerónimo Nadal", printed in Antwerp in 1595. Although it is unusual to own a copy of this edition, the actual format of the book is even more unusual, as all the sheets are painted one by one in various colours. For more information about the San Millán Foundation's activities at the Yuso and Suso Monasteries, go to: www.emilianensis.com. Desde Lumbreras salimos por la carretera de acceso hasta llegar al cruce con N-111. Cruzamos la carretera, pasamos por el puente del río Piqueras y a la izquierda sale una pista ascendente Pista Pantano de Pajares hasta llegar a un cruce de pistas. Seguimos a la izquierda de bajada hasta llegar a otro cruce. Seguimos la pista de enfrente y empezamos a bordear el pantano llaneando, pasando el puente del río Piqueras, el arroyo de las Cañadillas hasta llegar a la carretera. Nos vamos a la izquierda por la carretera hasta el cruce de San Andrés donde vamos a la derecha LR-457 hasta llegar al pueblo. Seguimos por la carretera hasta llegar al Museo Etnográfico, allí iremos por la pista de Vía Romana, cruzaremos una portilla metálica, bajamos por un suelo de roca hasta llegar a un puente. Cruzamos el puente de madera y ascendemos hasta al Alto de las Verdades, descendemos hasta la Dehesa donde cruzamos una portilla y seguimos hasta llegar a Lumbreras. Siempre nos quedará la opción de volver por la carretera N-111 (menos circulación en festivos) desde San Andrés a Lumbreras, si no queremos hacer la segunda parte de la ruta por la montaña ya que es algo más exigente física y técnicamente.